What Style of Bathroom Vanity Suits Your Personality? Human beings come with in all different kinds of personalities, each with their personal unique style. How you decorate and arrange your home and bathroom should reflect your individualism and express your personality. Your bathroom is one of the most important components of your house and is one of the rooms that you spend the most time in. Bathroom vanities take up a large part of the bathroom, and it’s important to find a bathroom vanity that fits your personality and the style of your house. There are many different bathroom vanity styles out there that you can choose from to suit your personal tastes. Kitchen and Decor Center is a top bathroom and kitchen interior design and remodeling center in Miami. If you’re looking up “bathroom vanities near me,” call us today for a consultation! When choosing a bathroom vanity during the remodeling process, you will need to be informed regarding the different options available to you in order to pick the right style and type of vanity. The right bathroom vanity to fit your bathroom needs to provide not only a convenient storage space but also a good anchor for a sink. Moreover, you will need to take into consideration the spacial design of your bathroom as well as the functions and utility of the vanity as well as the aesthetic. Whether you pick a quality traditional vanity, a more modern type, or a free standing vanity, it must be both appealing aesthetically as well as functional. 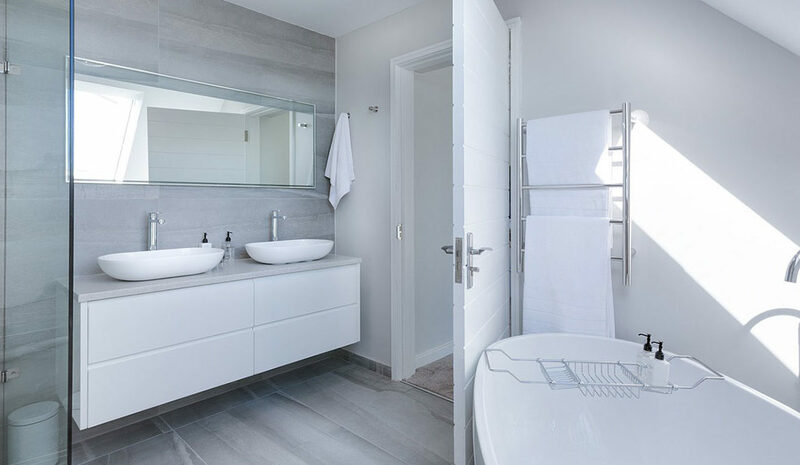 If you’re looking up “bathroom vanities near me,” we at Kitchen and Decor Center can not only install bathroom vanities, but help you pick out the right style for your bathroom. One type of sink option is the free standing sink which is also known as the pedestal sink option. This type of vanity does not contain any particular around its body, but it does add a strong look to your bathroom that can assist with a sense of class. Moreover, this type of vanity is highly versatile and can not only fit inmost bathrooms but also aesthetically go along with most themes. A free-standing vanity is one that contains some of the same functional features as the pedestal sink mentioned above but offers a square or rectangular look for your bathroom. It comes in a range of design choices and finishes, and wood materials are typically used on most of these vanities although some ceramic items can be found around the top areas as well. A wall-mounted vanity can be great for smaller bathrooms, as it is directly mounted onto your bathroom wall and does not take up a large amount of space in your bathroom. It doesn’t have to be connected directly to your floor, and thus saves space. However, with this type of vanity you will need to be a bit more careful regarding how you plan on utilizing it, as it could break off from the wall if excessive force is exerted upon it and end up causing damage to your bathroom. If you have many little children who may climb or pull at the sink, it may not be a great option. There are a variety of bathroom vanity styles, just like there are a variety of tastes and personalities. Kitchen and Decor Center is a top interior decorating and remodeling company in Miami. If you’re looking up “bathroom vanities near me,” call us today!